Adrian Harris: Focusing in nature with Nature. MJ Barrett: animism and porosity practice. Deep relationality with nature is often experienced as nonduality, also known as unitive or transpersonal experience – the experience of At-Oneness with all that is. Unitive experience is transformative in that it expands epistemologies and ontologies, including animism, by evoking the imaginary; it is restorative in that it opens up blocked emotions. We make meaning from experience by paying attention to the nuances of memory, imagination, emotion, intuition and understanding. This experiential process works for ideas, for embodied experiences, for experiencing nature. Gendlin does not claim Focusing as his discovery; he says that Focusing is an innate or inherent ability in humans, and that he merely articulated the process. Michael Winkelman would agree that all humans have the capacity to enter numinous space. In my experience, Focusing by experienced practitioners can create a numinous, unitive space that is similar to shamanic journeying. At times I feel as if I am spread out over the landscape and inside things, and am myself living in every tree, in the plashing of the waves, in the clouds and the animals that come and go, in the procession of the seasons…Here is space for the space-less kingdom of the world’s and the psyche’s hinterland” (Jung, as cited in Sabini, np). Jung used the term ‘numinous’ to describe nondual, unitive experience in which we let go of ego to engage with our unconscious. Jung regarded numinous experience as fundamental to understanding the individuation process because it is associated with synchronicity and archetypes. Based on his study of Christianity, Hinduism, Buddhism, Gnosticism, Taoism and shamanism, Jung perceived that this journey of transformation is the heart of spiritual traditions, and particularly of mystical elements within world religions. Some numinous experiences involve at-oneness, an expanded self in a timeless void that merges with all-that-is and produces a sense of interconnectedness and inherent unity. Other numinous experiences involve a sense of two-ness, a dialogue with an inner teacher. Numinous experiences may reach deep to the place below thoughts and images to our deep nature that is not “the contents of mind such as thoughts, images and feelings – but rather that which underlies and is aware of them; pure awareness or consciousness. This pure awareness is described in different contemplative traditions as Mind, original Mind, Spirit, Self, Atman, Buddha nature, and Tao mind” (Walsh, 2011, p.468). The structures of consciousness are instrumental to understanding unitive experience. Our state of consciousness informs how we engage with our world and with nature. “The personal unconscious is embedded or nested within the archetypal or transpersonal dimension of the soul to which Jung gave the name of the ‘collective unconscious’. Jung referred to it as the “mighty deposit of ancestral experience accumulated over millions of years.” At other times he called it the two-million-year-old man or woman in whose house we live but whose acquaintance we have not yet made.” (Jung, as cited in Baring). According to Jung, the collective unconscious is simple Nature; it is the preconscious aspect of things on the animal or instinctive level (Sabini, np). To illustrate the relationship of states of consciousness and ordinary reality, Jung drew on the metaphor of a multi-storied house as the shared home of humankind that has been built generation by generation, over millennia. Jung’s metaphor of house is useful in understanding the rich diversity of imagery that emerges in altered states of consciousness. We live on the top floor in our ordinary reality, where our conscious life builds on the lessons of our past, drawn from memories. The 4th floor is our cultural traditions related to music, literature, dance, food and architecture. The 3rd floor is the collective capacity to think logically. In Western thought, the beginning of independent analytical thinking is associated with the Renaissance and Reformation. 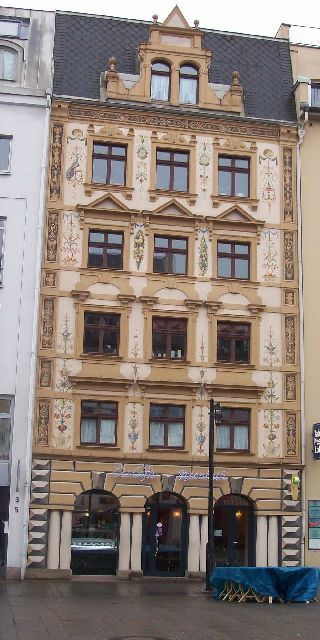 The 2nd floor is the medieval age when knowledge was transmitted orally and learning depended on listening and rote. The ground floor is inspiration. This floor led to the emergence of religions that influenced culture and people across the world. Our basement is built on ancient civilizations. With the invention of writing, we have access to their cosmologies through the myths that kept them grounded in time and space. These myths are stored in the collective unconscious as archetypes. In the Neolithic cave beneath the basement is ancestral knowledge. Using methods handed down by shamans, we can intentionally access this deep layer. Human survival required a finely tuned instinctual nature. A traumatic experience that causes a ‘fight or flight’ instinct sends you back to this Neolithic part of your brain (Sabini, np). Michael Winkelman is a cultural anthropologist who integrates the disciplines of biology, psychology, sociology and anthropology in the study of consciousness. He concludes that all humans have the capacity to experience altered states of consciousness (ASC) and that this experience deepens their connectedness to nature (Winkelman, 2011, p.273). Winkelman draws on cognitive sciences to argue that the “shamanic state of consciousness” is a universally accessible capacity of the human brain. Winkelman posits that altered consciousness involves interactions of biological, psychological and neurological structures and processes in the brain, causing ancient reptilian and modern frontal parts of the brain to function in an integrated manner. In this integrative state, a person experiences nonverbal, symbolic and metaphorical content in immersive ways (p.228). 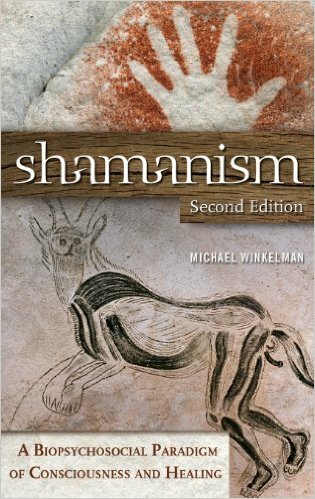 Some argue that non-primitive peoples no longer have the capacity to enter shamanic states of consciousness, but Winkelman’s research corroborates Jung and proves that all humans have the capacity for numinous experience. An altered state of consciousness (ASC) refers to a change to one’s state of mind which is significantly different from a normal waking state. In ASC, images and memories arise from the unconscious to consciousness. Archetypal images originate in the collective unconscious. Altered states of consciousness are associated with artistic creativity. There are culturally diverse ways of inducing ASC including monotonous drumming, chants, mantras, frenetic dancing, ceremony and ritual, yoga and qigong. For example, shamanic journeying is an ASC that is usually induced by monotonous drumming at the rate of the normal heartbeat that produces Theta brain frequency. Variations of ASC associated with Theta brain frequency include guided visualization, meditation, Focusing. Some clients discount their experience in ASC by asking “was that just my imagination?” This question reflects Western culture’s denigration of the imagination. In facilitating unitive experience, we must continually repair the damage that results from robbing adults of imagination and numinous experience. Imagination is essential to unitive experience and all work with the collective unconscious. The imagination “perceives in and through symbols” that involve and unify the whole being and one’s inner and outer worlds (Baring & Cashford, p.676). Imagination, awakened by embodied numinous experiences in ASC generates metaphor and symbol that represents connectedness with nature and community. These metaphors are brought to language through reflection. Our bodies sense themselves in living in our situations. Our bodies do our living. Our bodies are interaction in the environment…Our bodies don’t lurk in isolation behind the five peepholes of perception (Gendlin, 1992, p.345). Psychotherapist and philosopher Eugene Gendlin documented a natural technique called Focusing (1981) and developed it into a psychotherapeutic process that involves deep inner-awareness, a “felt sense” of inner knowledge experienced in the body that is beyond thought or language. He aligned his philosophy of the implicit with phenomenologist Merleau-Ponty’s work that views perception, specifically as experienced by the body, is preverbal, prior to linguistic communication. Gendlin’s philosophy of the implicit is relevant to this study because it illuminates embodied knowledge and explains how metaphors emerge from unitive experience and are given form, through language. Carrying forward the implicit is like pregnancy, and making it explicit is like giving birth. Along the way, we study the many relationships that give it form and meaning (Gendlin, 2003, p.107). While postmodernists argue that everything comes from culture, history and language, Gendlin argues that culture and history derive from language informed by our experience (p.113). “Philosophically I think there needs to be a further step. The step forward would be to recognize what is with and after language. The body is always in a fresh situational interaction that exceeds culture, history and language” (p.114). Concepts and knowledge emerge from the body, from a body experience. New facets of experience rearrange the implicit language so that we can generate new sentences and create new words that carry our experience forward and that generate new symbols and metaphors of experiencing. Experiences are intricate. We keep on learning from an experience throughout our lifetime. Gendlin’s philosophy of the implicit led to the practice of Focusing, which is experienced by many as an altered state of consciousness. In my experience, most Focusing beginners work in an altered state associated with Alpha brain waves, but experienced Focusing practitioners regularly enter an altered state associated with Theta brain frequency. Adrian Harris is an innovative psychotherapist who has developed a praxis that expands Gendlin’s deep listening theory in the practise of ecopsychology, and thus contributes to ecophenomenology. He observes that a person engaged in deep listening with nature typically experiences two significant shifts: the familiar sense of separation between self and world becomes blurred and a deeper relationship emerges with all beings. He writes that “Focusing in nature quickly softened the perceived barrier between ‘me’ and ‘the world’, enabling a much more intimate relationship to place” (Harris, 2013, np). MJ Barrett is an environmental educator who researches animism as an onto-epistemology that communicates with other-than-human beings as co-participants, not as research objects (Barrett, p.125). She refers to the capacity to listen to the voices of all beings as porosity: “a state of ultimate relationality with all things, so as to be open and attuned to communication with an animate Earth” (p.128). In her porosity practice, Barrett welcomes diverse forms of representation that enable meaning-making “to emerge” through animist ontology and engages in dialogue with all beings using many methods that go beyond the thinking mind (p.129). Porosity is similar to Adrian Harris’ method of deep listening with nature. Barrett animates Barfield’s conscious participation with nature through imagination and listening.